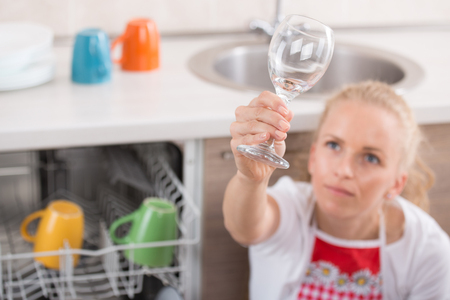 Glasses that come out of the dishwasher with streaks or a foggy appearance can benefit from specialty glass cleaners. Few things are lovelier than crystal glasses by candlelight, or the simple elegance of a flower-filled crystal vase. Until party guests leave and the flowers begin to droop, that is. And you're left cleaning glasses with lipstick stains on the rims, and a water ring around the vase. Here's the scoop on products for cleaning foggy glasses that work to keep your everyday stemware and your Sunday-best crystal looking their best - party after party. Get detailed information on how to clean glasses here.